Patriot Gold Group is a precious metals dealer specializing in overseeing transactions in precious metals IRAs, a process called facilitation. The company is on our list of the best Gold IRA accounts for easy account setup with a one-day turnaround. Los Angeles is home to Patriot Gold Group, and their Business Consumer Alliance membership information states that the company has been in operation since 1990. Patriot Gold is a certified Professional Coin Grading Service (PCGS) company and Numismatic Guaranty Corporation members. Investing in physical bullion or Precious Metals IRAs is another way to boost your retirement savings. If you're interested in learning about how to invest in precious metals, Patriot Gold Group has informative, patient employees to walk you through anything you need to know. Patriot Gold Group specializes in Precious Metals IRA facilitation. A Precious Metals IRA is a self-directed IRA holding physical metals such as gold and silver coins as retirement assets in an IRS-approved storage facility. Precious metals IRAs are often used to diversify retirement investments, although some use this type of IRA to offset concerns about a future devalued dollar. Patriot Gold works with their customers’ IRA custodians (typically a financial institution) and storage facilities to make the process of buying or selling assets smoother. In many cases, a transaction requires only a single phone call from the customer. Without this facilitation, the IRA holder would need to spend quite a bit of time coordinating communications with the custodian, the broker, the shipping company, and the vault company separately. Patriot Gold Group handles this process to ensure that all steps are completed correctly, after receiving instructions from the customer. One perk Patriot Gold Group offers is Investor Direct Pricing. While some dealers add a percentage to the customer’s precious metals purchase as a fee, Patriot does not. Patriot Gold charges a $225 one-time setup fee for new Precious Metals IRAs but waives this fee for investments over $30,000. Patriot Gold Group waives the first one to three years storage fees and reimburses the $260 first-year rollover fee. Accounts of $250,000 or more can participate in their No Fee for Life IRA. Custodians and storage facilities control their own fees, which are separate from Patriot Gold Group’s fees. Be sure to verify the fees for the types of transactions you intend to make through the IRA before setting up an account. Annual fees are due to the custodian for storage and insurance, and the amount of that fee depends on your account balance or transfer. Patriot Gold will work with any custodian, but they have an established relationship with STRATA Trust and Equity Institutional. We have noted some of their fees in the table below. Other custodial costs range from $5 to $250 for services such as taking a distribution from your IRA, document processing, terminating the account or making a wire transfer. Silver: To be included in an IRA account, silver coins and bars must have a minimum fineness of .999 percent. 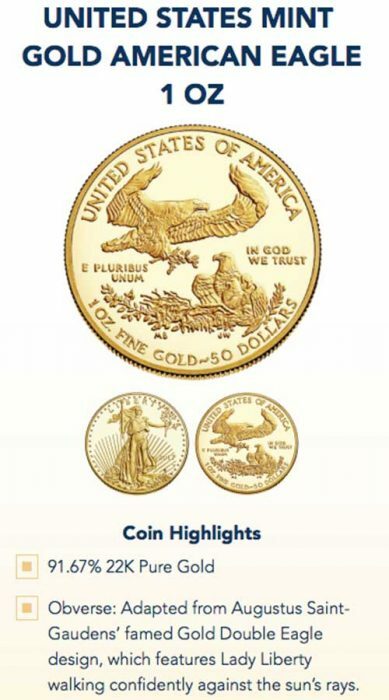 Gold: To be included in an IRA account, gold bullion must have a minimum fineness of .995 percent with the American Gold Eagle being the only exception. Platinum and Palladium: Platinum for inclusion in an IRA must have a minimum fineness of .9995 percent. Patriot Gold sells precious metals in the form of bullion bars, bullion coins, and coins for IRA customers. As with most precious metals brokers, Patriot Gold Group also deals in coins and bullion that are available for purchase outside of a Precious Metals IRA. Some of these products are subject to specific reporting laws, so consumers are advised to understand the regulations attached to each of their purchases and the precious metals form they are considering. If you already have a self-directed Precious Metals IRA, you can contact a Patriot Gold Group representative to transfer your account. As a full-service firm, the transfer can be set up over the phone, documents can be e-signed, and the account is guaranteed to be open within 48 hours. Setting up a new account is a similar process that starts with filling out the application on the Patriot Gold Group website or calling a representative. Patriot Gold Group will assist you in setting up an IRA or rolling over an eligible IRA. After you pay your fees and your accounts are established and funded, you can begin executing trade orders with Patriot Gold Group. Purchase timelines depend on the speed at which IRA custodians transfer funds, as is the case with all Precious Metals IRA trades. We recommend discussing fund transfer time windows with a few potential IRA custodians before selecting one. Once funds are received, trades will be complete within 48 hours. After purchasing the precious metals, orders are shipped to the vault company for storage, per IRS regulations. The parent company of Patriot Gold Group, Halt Gold Group, maintains an A+ rating with the Better Business Bureau (BBB). Patriot Gold does not have a separate listing with the BBB. Patriot Gold Group reviews on ConsumerAffairs show a five-star rating with only a handful of complaints out of the 128 reviews. Those complaints focus mostly on trading fee costs and coin value disputes. Facebook reviews total 4.4 out of five stars, and many customers used Google reviews to remark on how patient the representatives were when explaining Precious Metals IRAs. Do my precious metals have to be in the form of bars or can they be coins? Only specific coins are approved for inclusion in precious metals IRAs. The IRS maintains a list of acceptable forms of precious metals for IRAs. Patriot Gold Group deals in both coins and bars for IRAs within IRS guidelines. Can I choose any self-directed IRA custodian or do I have to use Patriot Gold Group’s recommended companies? Patriot Gold Group works with any IRS approved self-directed IRA custodian within the United States. However, they do mention STRATA Trust Company and Equity Institutional as two of their choices in self-directed IRA custodian companies. Can I choose any storage company or do I have to use Patriot Gold Group’s recommended companies? Patriot Gold Group works with two vault storage companies, DDSC of Delaware and Brinks Global. Patriot Gold Group can assist customers in getting accounts set up or contacting these companies for storage arrangements. Can I store my precious metals at home? IRS regulations do not allow keeping your IRA-related precious metals at home or in a personal safety security box. An approved non-bank trustee or a bank must hold IRA assets within guidelines that restrict access and keep all precious metals segregated by the customer. These guidelines protect the investor so that the exact metals purchased are returned to that customer when they take a distribution from the account. Just like an IRA holding stocks, bonds or mutual funds, the access to the precious metals is restricted in specific ways to ensure legal deposit and disbursement transactions. Non-IRA precious metals purchases can be kept at home if the customer so desires. Are the values of the precious metals I buy for my IRA guaranteed? Like all investments, the future value of precious metals cannot be determined or guaranteed. Prices rise or fall based on a variety of market influences. For example, the value of gold and silver rose significantly between 2000 and 2011, then experienced a downswing for the next few years before beginning to recover. Like most IRA investments, you will want to take a long-term approach to precious metals. Patriot Gold Group offers valuable assistance to those who are new to Precious Metals IRAs and to those who already hold this type of account. Self-directed IRAs containing assets like precious metals give consumers an option for diversifying retirement savings while receiving the tax benefits of a self-directed IRA. Patriot Gold Group facilitates the buying and selling of precious metals on behalf of the customer and coordinates transactions with the IRA custodian and with moving the assets to secure storage. Patriot Gold Group’s value to the consumer is in time savings and avoiding hassles. With nearly 30 years in the precious metals business, they handle all of the paperwork and electronic tracking between custodian and vault to save the investor time and to ensure that the precious metals purchased are appropriate for an IRA. To learn more about Patriot Gold Group call 844-524-9001 or check out their website for a free information kit.